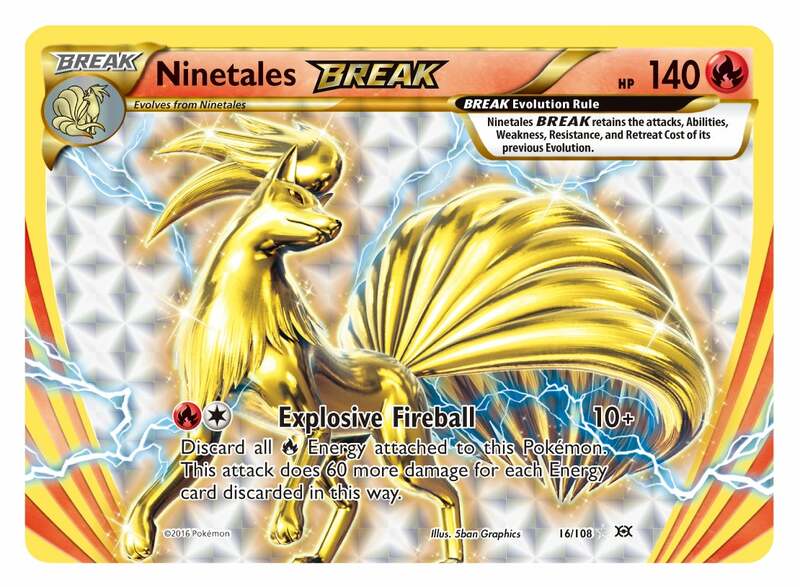 Next month's Evolutions expansion might be the end of the Pokemon Trading Card Game's XY series, but it's giving some of the very first cards in the 20-year-old game a powerful new beginning. Looks like Charizard's lost a little weight. The art remains the same, but the numbers in the frames have changed. 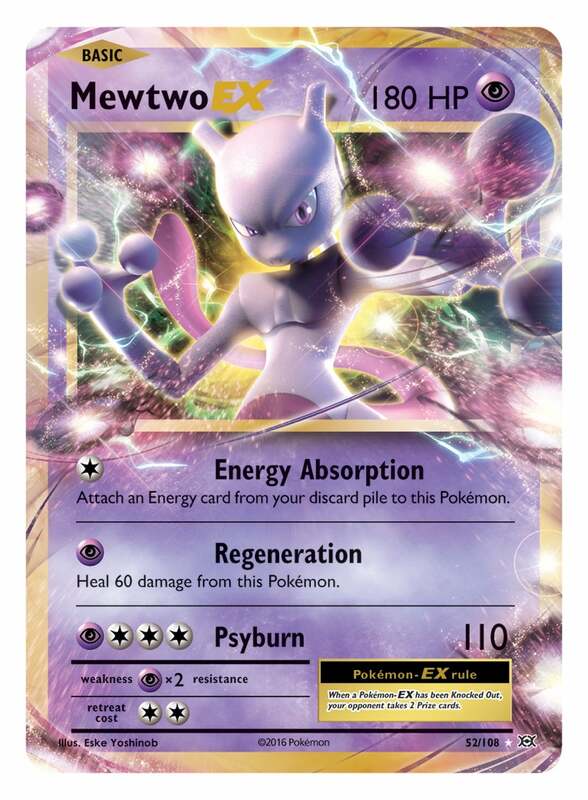 The Evolutions expansion will feature a selection of the very first Pokemon Trading Card Game cards, remastered to keep up with modern terminology. 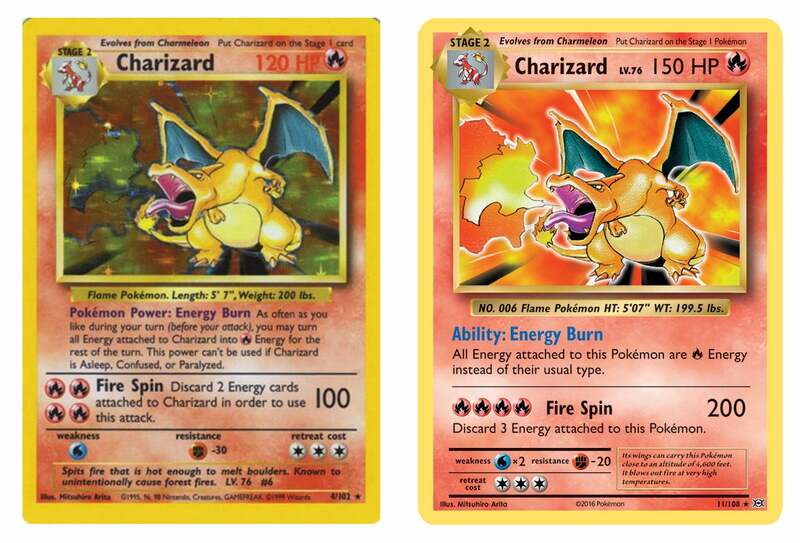 The redone Charizard, for example, tightens up the skill text, adds 30 hit points, and doubles the power of the Fire Spin move at the cost of one additional Energy card. He was the best. Now he's slightly more the best. Along with the reimagined classics, the Evolution set also features more powerful versions of older cards, including the reappearance of Mega Venusaur-EX, Mega Charizard-EX and Mega Blastoise-EX, the debut of Mega Slowbro-EX and Mega Pidgeot-EX, four new Break cards (Ninetails, Machomp, Starmie and Nidoking) and new versions of and new versions of Mewtwo-EX and Dragonite-EX. Pokemon Trading Card Game XY: Evolution booster packs and theme decks (Pikachu Power and Mewtwo Mayhem) will start showing up at retailers between October 30 and November 2.